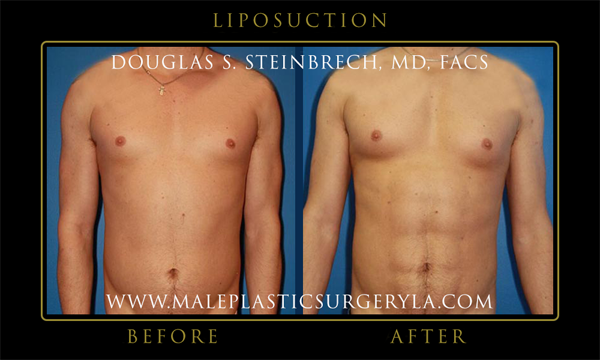 Dr. Douglas Steinbrech specializes in male massive weight loss plastic surgery such as270 Torso Tucktm, chest lift, thighlift, and muscular enhancement at his surgical center in Los Angeles. His goal is to raise the bar on post-weight loss techniques to create a more natural, but chiseled appearance for a man, not a woman. This includes his swimsuit lift™, his MuscleShadowing® techniques, and BodyBanking® to remove any remaining fat and transplant the cells into muscle to create more muscular size. Read more to find out about the Biggest Winner plastic surgery for men in Los Angeles. Circumferential body lift with a 270 Torso Tucktm to keep the incision low and hidden by board shorts, trunks or a speedo. Circumferential bodylift with a 270 Torso Tucktm to keep the incision low and hidden by board shorts, trunks or a speedo. 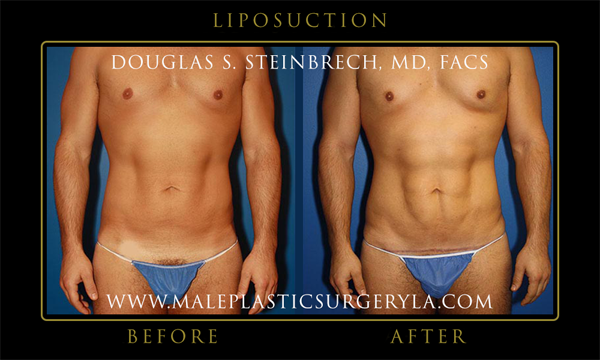 To learn more about Dr. Steinbrech’s Biggest Winner Plastic Surgery for Men in Los Angeles, please contact his office to set up your no-obligation consultation. 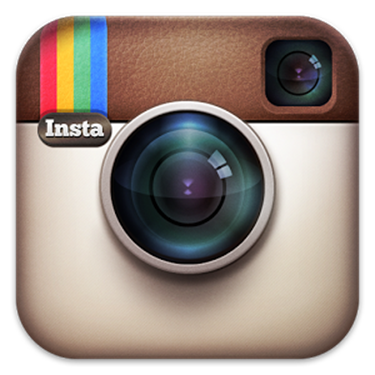 You may also call 310-570-2402 to speak to one of our friendly Patient Advisors today.